As a premier provider of helicopter services in the northeast, Associated Aircraft Group looks for ways to utilize our unique capabilities and resources to give back to the community. Whether it is helping young people achieve or assisting children in need, AAG community events give our team members a chance to connect with and benefit the people in locations we serve. We partner with Patient AirLift Services providing flights for children with illnesses to receive medical treatment and enhance the quality of their lives. A recent trip helped a Virginia boy receive treatment for bone cancer at Memorial Sloan Kettering Cancer Center in New York. Another flight took a 12-year-old cancer survivor and her brother to eastern Long Island, to participate in a camp for children diagnosed with life-threatening illnesses and their families. In addition to the standard arts-and-crafts activities of other camps, the Kids Need More Camp Adventure also features shows, concerts and carnivals to buoy spirits. 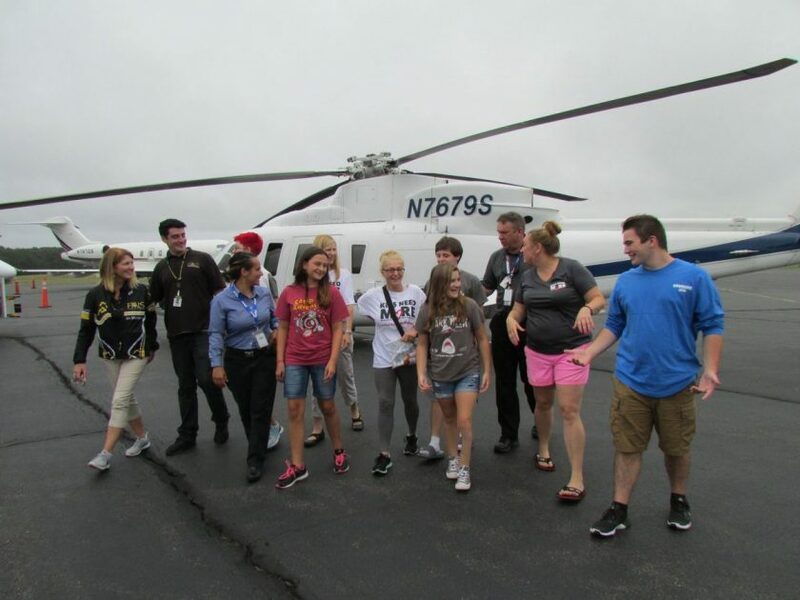 AAG supports the Aviation Community Foundation’s Student Aviation Expedition in New York. 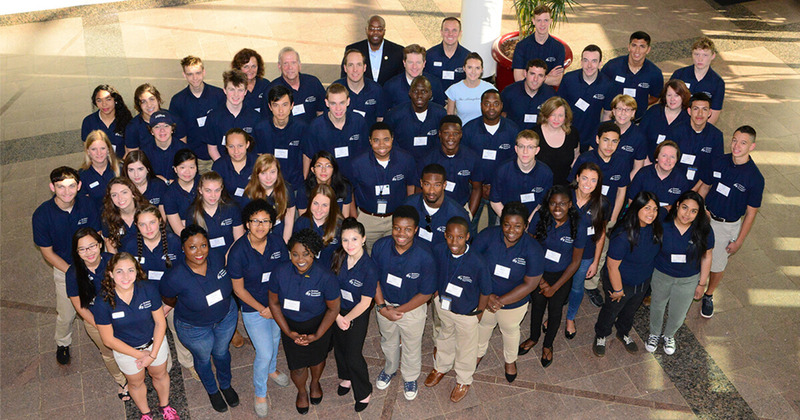 Its mission: bringing students from underserved communities together, connecting them with peers and making valuable relationships with aviation industry leaders. These success-orientated achievers participated in a Science, Technology, Engineering and Math competition, with the winners experiencing a helicopter flight over Manhattan, courtesy of AAG. 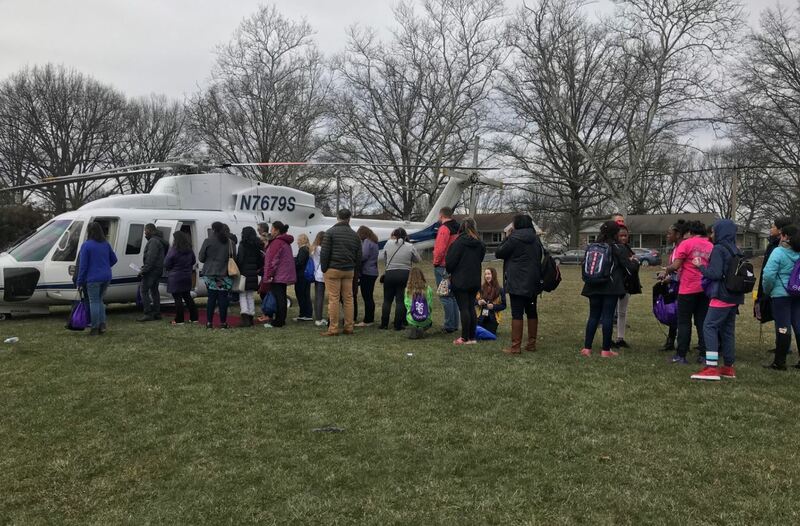 AAG supported the 2018 Girls Exploring Tomorrow’s Technology GETT Expo March 17 in Phoenixville, Pa. Sikorsky's Audrey Brady opened the event by arriving in an S-76 from AAG and addressed attendees upon landing. Sikorsky, AAG's parent company, was a premier sponsor for this STEM event. More than 800 girls were in attendance, and many were able to tour the helicopter and speak with an AAG pilot. When Beverly was ready to head from her appointment at WTC Health Program - Clinical Center of Excellence at Mount Sinai to Westchester County Airport to meet her pilot for her return flight home to VA, she was surprised to get a call from PALS saying that her transportation to the airport would not be provided by car, as it usually is, but in a helicopter instead thanks to Associated Aircraft Group! She had a wonderful time flying over NYC. AAG was beyond thrilled when Sikorsky reached out to ask for their assistance in making one young boy’s wish come true. 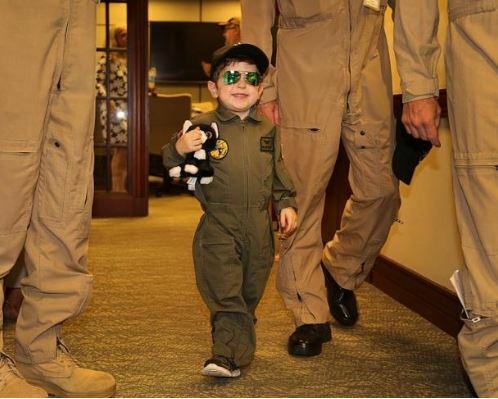 William Beyer, a 6-year-old with a rare congenital heart malformation, recently asked to go “somewhere they build planes.” Different areas of Lockheed Martin were approached, but it was decided that Sikorsky and their helicopters would be the best fit. 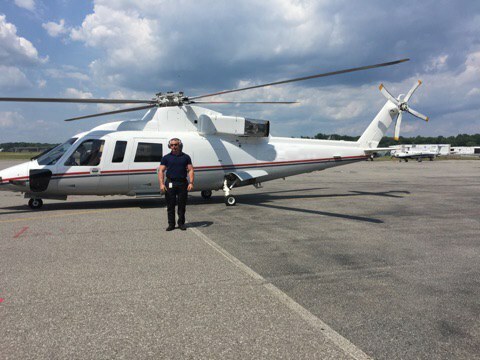 Which is where AAG comes in, with the S-76 being one of the safest and most comfortable helicopters in the market, Sikorsky thought it would be a great opportunity to give William and his family a ride they would remember. Sikorsky pilots, Chief Operating Officer and co-founder of AAG, Ray Altieri, and the communications team all made sure William and his family had a first-hand experience at what goes on in the Sikorsky Plant in Stratford, CT. AAG, subsidiary of Sikorsky, A Lockheed Martin Company, was more than happy to help with this special day. On October 5, 2018 AAG assisted its parent company, Lockheed Martin with the 9th Annual Manufacturing Career Day in Salina, NY. Lockheed Martin Syracuse had a large presence at the event as they promoted careers in STEM and manufacturing with Lockheed Martin. The day was orchestrated by The Manufacturers Association of Central New York (MACNY). An AAG, S-76 was on static display for more than 400 students to view, tour and speak with AAG pilots. 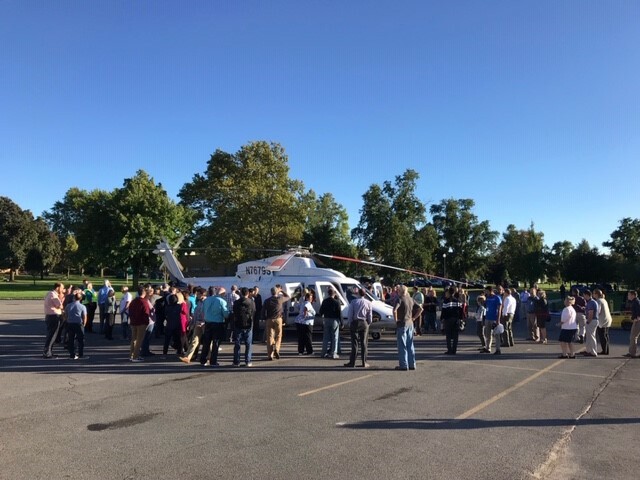 On November 2nd, AAG supported the 2018-2019 Sikorsky STEM Challenge Kickoff Event at Chester Airport in Connecticut. Students from surrounding schools participate in the challenge, shown here are some from Fairfield Prep. AAG is proud to support our parent company, Sikorsky Aircraft, with any event supporting STEM education amongst students. 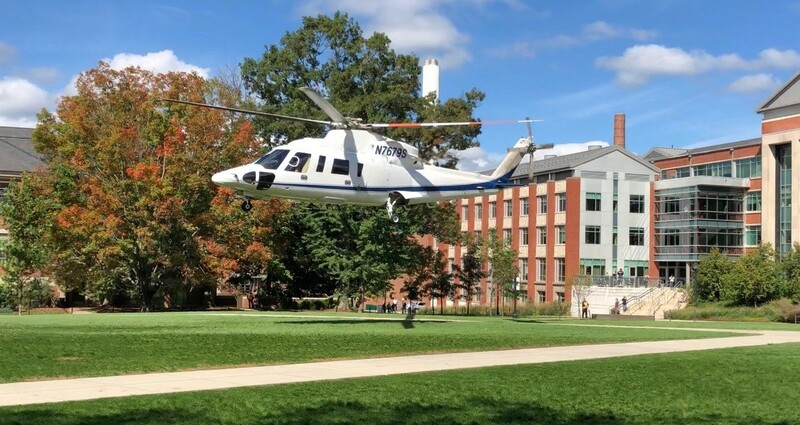 AAG supported the Sikorsky and Lockheed Martin teams at UCONN this past September, with the university's first ever Lockheed Martin University Day. More than 50 Lockheed Martin UConn alumni, Corporate University Relations, Engineering & Technology, Manufacturing Operations, and Sikorsky Fire Department employees showcased Lockheed Martin careers and technologies on the Storrs, Conn., campus Sept. 27. 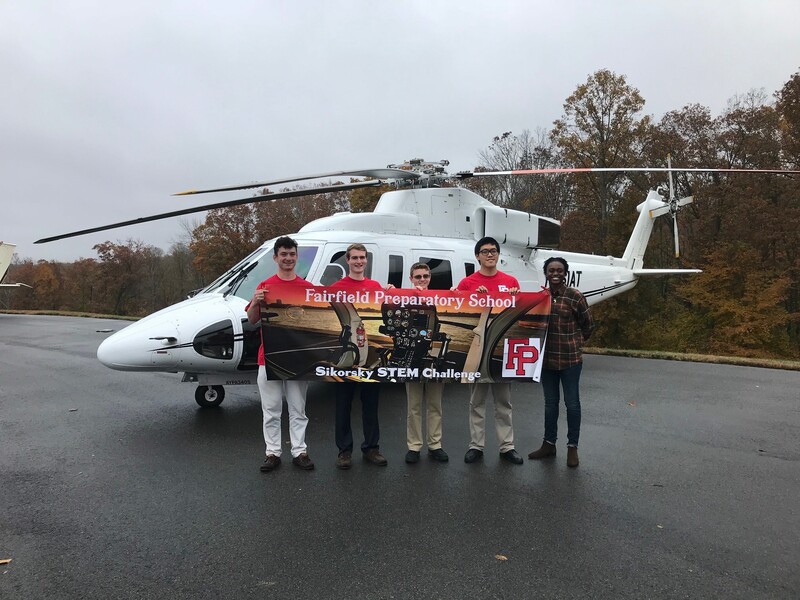 Some students were able to go for a ride in AAG's S-76 and others were able to talk with Lockheed employees, see a flight simulator, and take part in educational seminars. Saturday, March 23 was the annual GETT Stem Expo Event which took place at Phoenixville Area Middle School in Chester County, Pennsylvania. Last year, AAG brought in an S-76 for display, and was once again able to bring the same excitement this year. 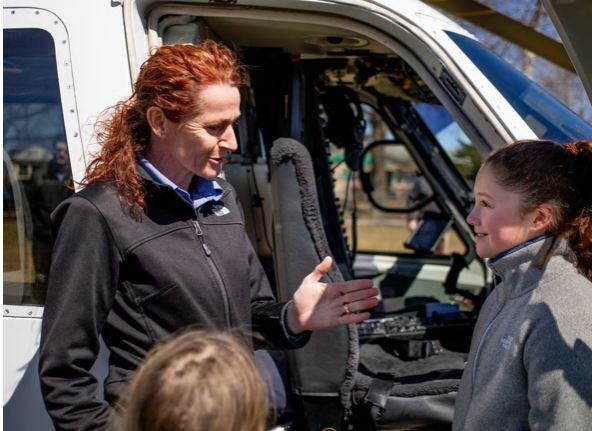 More than 1,000 girls witnessed the Sikorsky VIP aircraft land on the school grounds, and for many of them, it was their favorite part of the day. AAG Pilot, Kim Barwick, and Sikorsky Commercial Systems and Services VP, Audrey Brady, flew the aircraft that afternoon. When asked what her favorite part of the day was, a young female student replied, "this helicopter," while sitting next to Barwick and another fellow student in the back of the luxury chopper.